Joni Mitchell first became famous for penning "Both Sides Now", a song that helped launched the career of pop/folk singer Judy Collins. When Mitchell began as a songwriter many of her lyrics displayed a wisdom that was precocious for someone who was in her early twenties. Mitchell was first noticed as a performer in New York City's music scene. Her first album appeared in 1968, which featured her voice and her acoustic guitar with virtually no other accompaniment on most songs. Mitchell's music was originally considered to be folk, but after her initial success she began to grow in a jazz direction. Her collaboration with saxophonist and band leader Tom Scott produced the album "Court and Spark", one of the most popular and influential albums of all time. As her music style veered increasingly towards jazz, Mitchell sadly observed that her pop/folk fans did not follow her to the new musical place she was going to. The sales of her later albums declined. Nonetheless her work was still followed by many within the music industry. 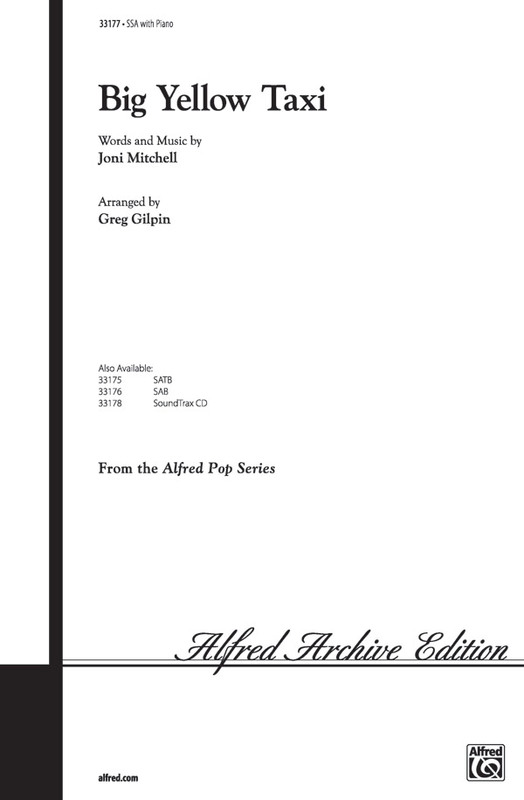 Mitchell worked closely with jazz great Charles Mingus on his last project. She did several albums with jazz bass player Jaco Pastorius, and several more with her second husband, musician and sound engineer Larry Klein. The most popular songs in her career include Big Yellow Taxi, Both Sides Now, Help Me, River, and A Case of You. Her most popular albums include Court and Spark, Hejira, Turbulent Indigo, and Blue. Joni Mitchell's influence on other musicians has been so broad that it is difficult to summarize. She has been a notable influence on Prince, Elvis Costello, George Michael, Madonna, Sheryl Crow, Morissey, Seal, Beck, Cassandra Wilson, Diana Krall and a great many of other women songwriters that are too numerous to mention. Led Zeppelin's "Going to California" is an homage to Mitchell. Mitchell's songs have been covered by the likes of Bob Dylan, Mandy Moore, Minnie Riperton, Frank Sinatra, the Counting Crows, Linda Ronstadt, Neil Diamond, Tori Amos, the Spin Doctors, Nazareth, the Indigo Girls, and many more. Mitchell's music made an appearance in the movie _Love Actually_ (2003) . In this mostly comedic film, actress Emma Thompson's character is a fan of Joni Mitchell's music. At one point in the movie, Thompson's character discovers that she has been betrayed by her husband for a much younger woman. She puts on a brave face for the kids, but her moment of private, painful revelation is shown on screen accompanied by an audio track that is silent except for an overdub of Joni Mitchell singing "Both Sides Now", not the original upbeat recording from the 1960s when Mitchell was a 23-year-old ingenue, but rather the recent re-recording, a somber sentimental performance by the now husky-voiced middle-aged Mitchell, backed by a lush orchestra -- a performance akin to an older, wiser Frank Sinatra singing the retrospective "It Was A Very Good Year" when he was sixty. This poignant scene is the dramatic pinnacle of the film. Joni Mitchell remains a role model to artists everywhere. Her paintings are being shown in various galleries and on tours, and she is releasing an album of new music in 2007. Mitchell's work is highly respected both by critics and fellow musicians. Rolling Stone magazine called her "one of the greatest songwriters ever," while Allmusic said, "When the dust settles, Joni Mitchell may stand as the most important and influential female recording artist of the late 20th century." Here is a collection of the Joni's best works over the years and must be considered a true American treasure whose songs will be sung for generations. Shine, Joni Mitchell's seventeenth studio album, is her first album of all-new material since 1998's Taming the Tiger. Joni announced her retirement from the music industry in 2002, making Shine a wonderful surprise and a huge gift to her legions of devoted fans. From Joni's liner notes: "That night the piano beckoned for the first time in ten years. My fingers found these patterns which express what words could not." 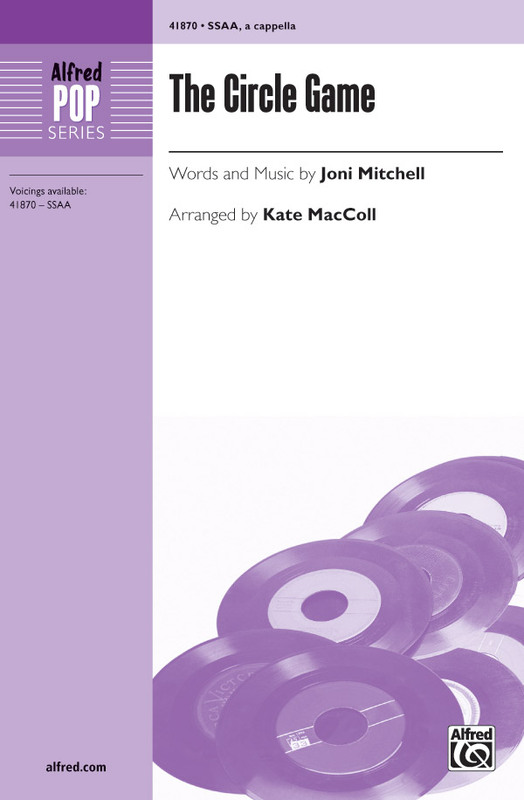 Professional piano/vocal/chord arrangements of all the songs on Joni Mitchell's Hits compilation. "You don't know what you've got 'til it's gone." Joni Mitchell's hit song from 1970 gets a fresh, hip treatment in this cool Greg Gilpin arrangement. Originally created for Vancouver's Elektra, this concert arrangement features a soloist as it weaves the melody through every section in the ensemble. Multiple key changes add to the musicality of this delightful setting of a Joni Mitchell favorite.